On September 12th, thousands came together for the 7th Annual T.E.A.L. Walk / Run for Ovarian Cancer in Prospect Park…. 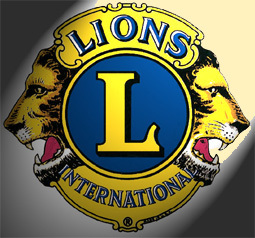 Facebook Post by Flatlands Lions Club. December 14 and 19, 2014 – The Flatlands Lions Annual Holiday Toy Drive, chaired by two very special Santas, Lions Gladys and Donald Pemberton, and helped by their daughter Laura and son-in-law, George Johnson, brought holiday joy to children served by two local agencies, Harlem Dowling Children’s Services and Mercy First. These agencies provide support services for Far Rockaway and Coney Island, respectively; areas with high concentrations of poverty and at risk families, which were further and severely impacted by Superstorm Sandy.In all, almost $8,000 was raised by the Lions to purchase toys and much needed clothing for the hundreds of children served by the two agencies. The Pembertons also organized Christmas parties at each of the two agencies, in order to distribute the toys and clothing, and to simply help spread some holiday cheer to the children and their families at this time of the year. 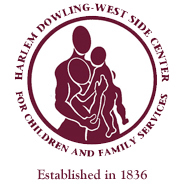 The first party, for the Harlem-Dowling Children’s Services, was held at the agency’s office in Rockaway, Queens, on December 14th. The party was attended by hundreds of children and their parents. There were crafts projects, where the children made special things to take home, a face painter, who gave the kids a special holiday makeover, cotton candy and popcorn making machines, and food and activities in abundance. The children were visited by Santa and his helpers, which brought smiles all around as they handed out presents of toys and clothing. A very special treat was a surprise visit by Elmo and Anna from Frozen, who came to came to take pictures with the children, and were a smash holiday hit! The second party, for Mercy First was held on December 19, 2014, at the agency’s office in Sheepshead Bay, Brooklyn. The event was well attended by children and their families. The children played group games and had dance contests. There was plenty of food, including McDonald burgers, mac and cheese and fried chicken. Santa’s helper, Grannie Elf, assisted the children in creating ornaments to take home for their tree. Santa and helpers gave out presents of cargo pants, shirts and hats along with the toys. The older children were given $25 gift cards to Old Navy, Target, etc., so that they can buy something for themselves. Once again, a good time was had by all! Kudos once again to the Pembertons, Johnsons and thanks to all of our supporters, for making the holidays a little more joyous for children in need! December 13, 2014 – Flatlands Lions and Leos visit the Crown Nursing Home.